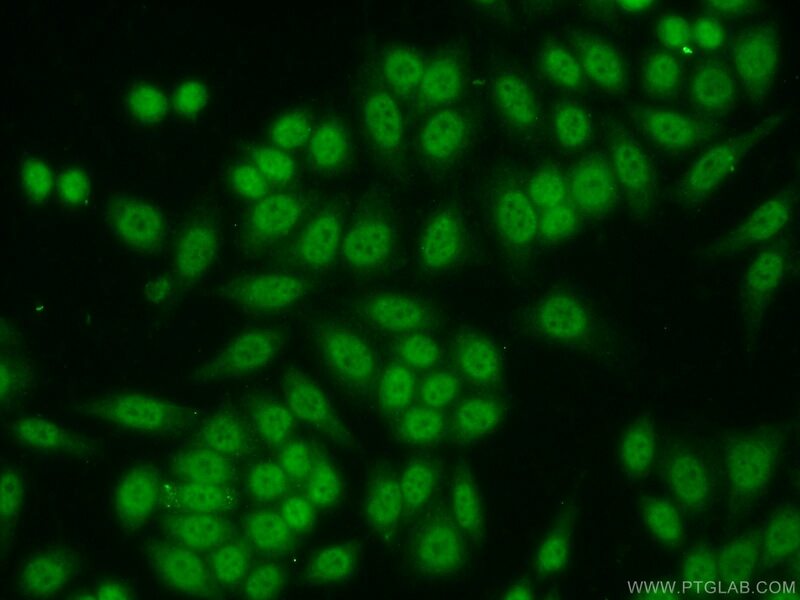 IP Result of anti-SP1 (IP:21962-1-AP, 6ug; Detection:21962-1-AP 1:500) with A431 cells lysate 2500ug. 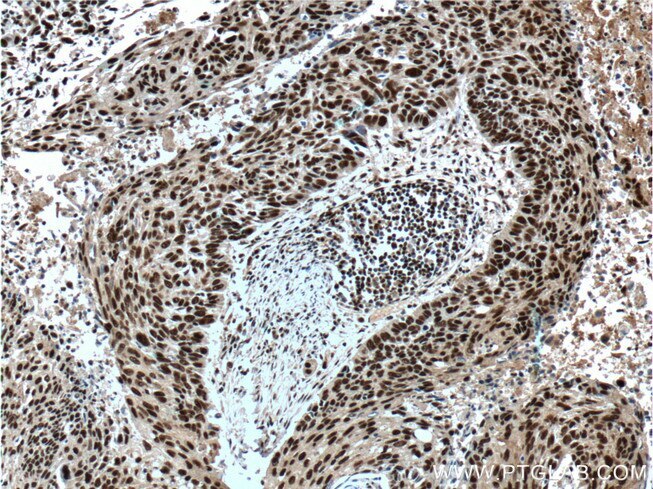 The transcription factor Sp1 is a C2H2 zinc-finger protein that is involved in the regulation of a wide variety of genes, including housekeeping genes and tumor-developing genes. 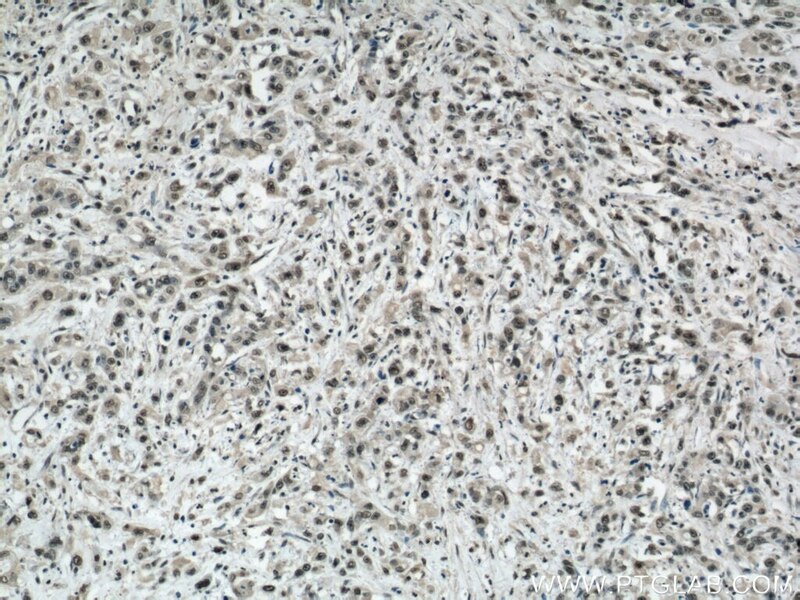 It is associated with tumor development, growth, and metastasis [PMID: 16209919]. 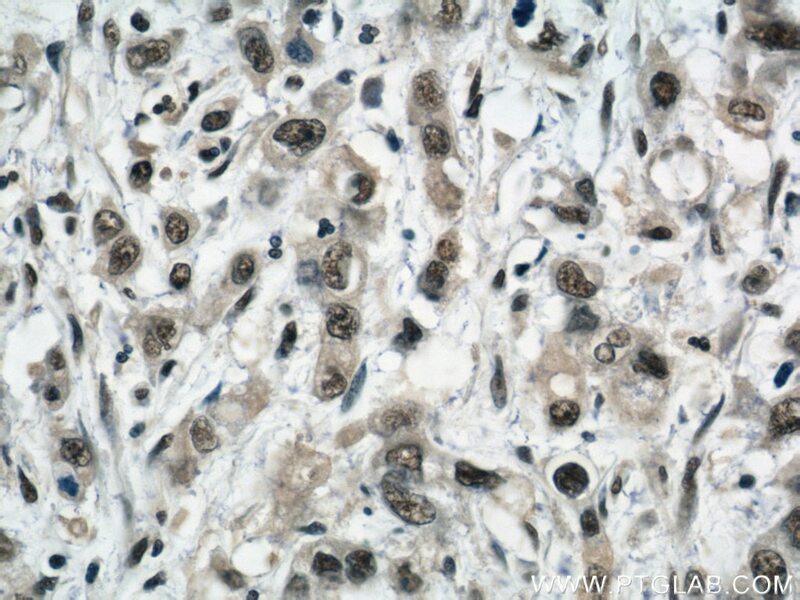 It regulates the expression of a large number of genes involved in a variety of processes such as cell growth, apoptosis, differentiation and immune responses. Besides, it has a role in modulating the cellular response to DNA damage, recruiting SMARCA4/BRG1 on the c-FOS promoter, regulation of FE65 gene expression [PMID:11371615,16332679]. 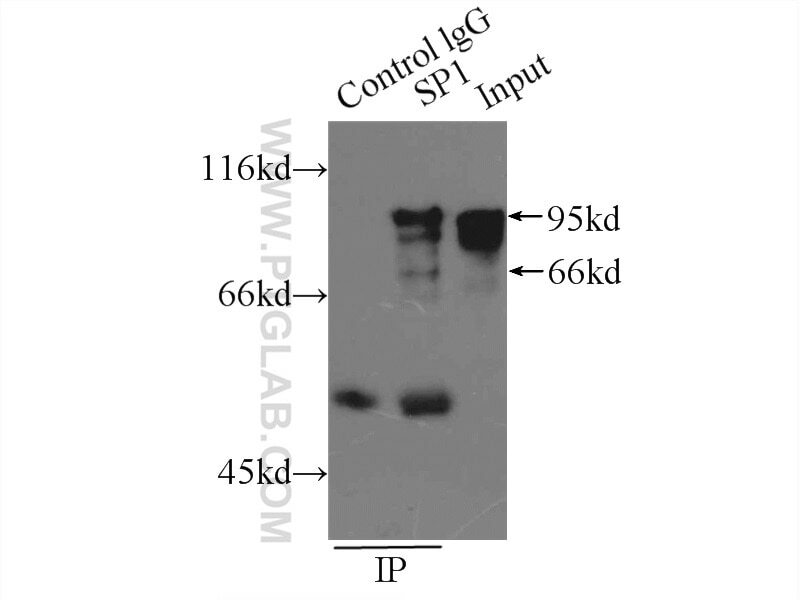 SP1 is detected with MW 95-105 kDa and 65 kDa in this paper(PMID: 10618488). A G-quadruplex structure at the 5' end of the H19 coding region regulates H19 transcription. 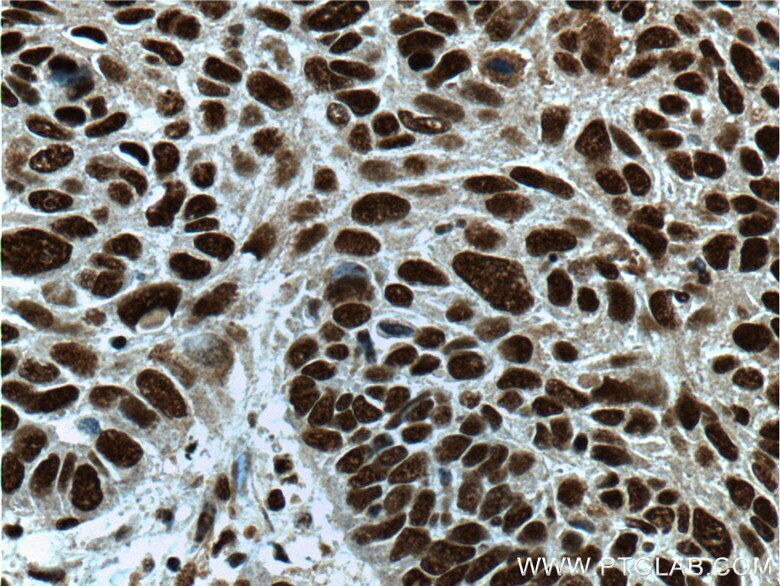 MIR-300 in the imprinted DLK1-DIO3 domain suppresses the migration of bladder cancer by regulating the SP1/MMP9 pathway. 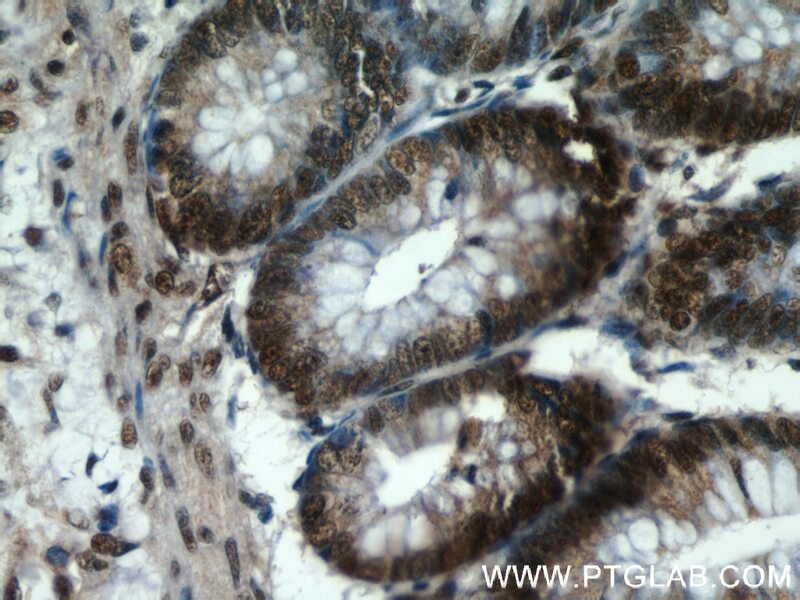 Glucocorticoids regulate MiR-29c levels in vascular smooth muscle cells through transcriptional and epigenetic mechanisms. 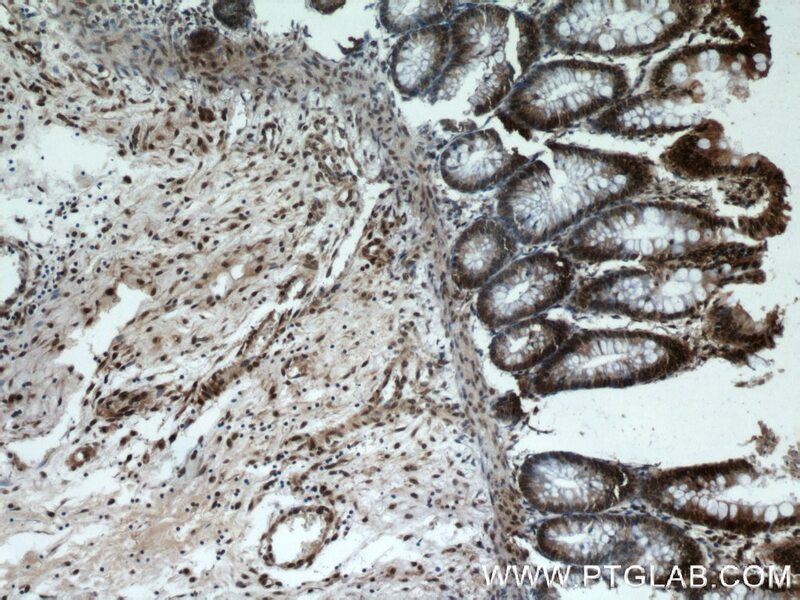 Fatty Acid Elongase-7 Is Regulated Via SP1 and Is Involved in Lipid Accumulation in Bovine Mammary Epithelial Cells. Improved Sp1 and Betaine Homocysteine-S-Methyltransferase Expression and Homocysteine Clearance Are Involved in the Effects of Zinc on Oxidative Stress in High-Fat-Diet-Pretreated Mice.